If this Creamy Dill Salmon Fettuccine doesn’t scream spring dinner then I don’t know what does. It’s creamy, loaded with dill and succulent salmon. 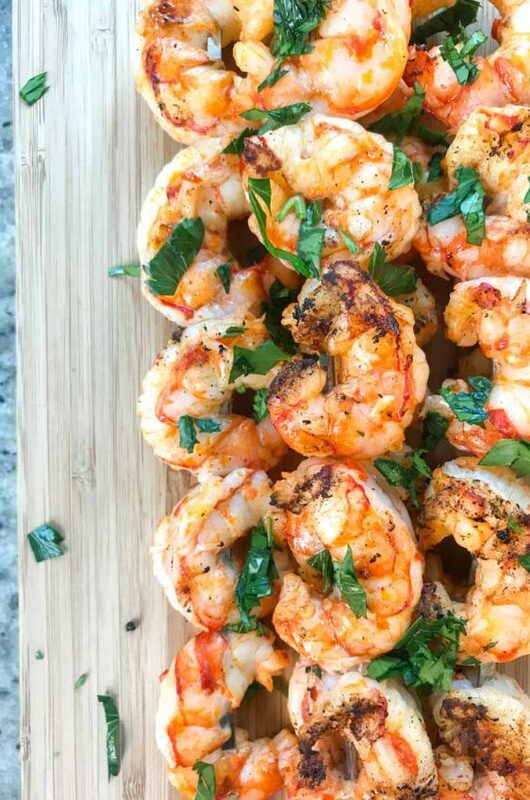 It’s easy enough to make on a weeknight and fancy enough for a date night at home. 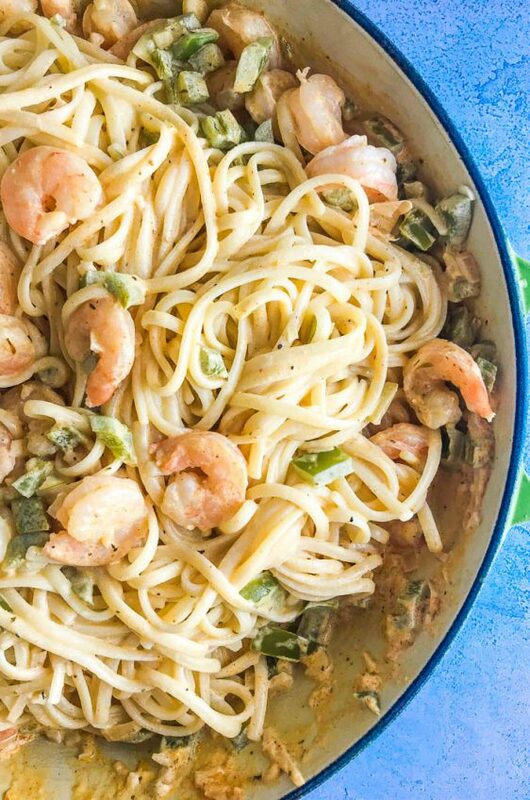 This pasta is a total winner, friends. A total winner. It’s almost May which means that salmon season is just around the corner! That is big news here in the PNW. We love, love, love our salmon. 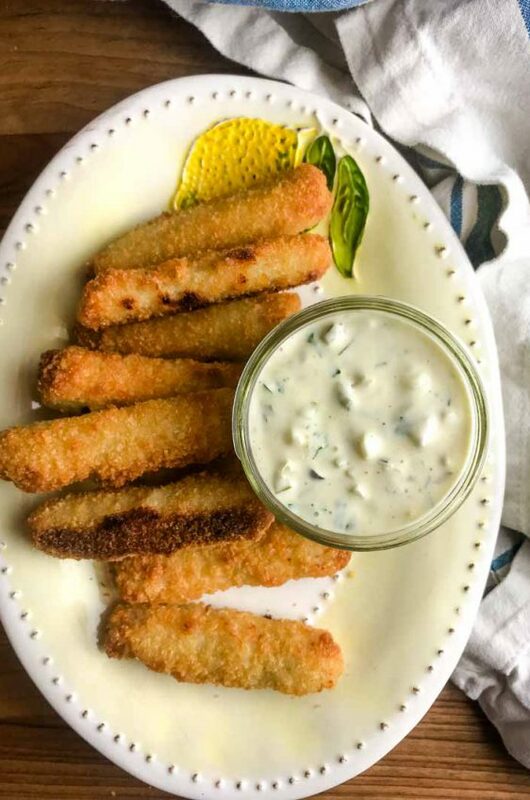 I’ve shared a few different salmon recipes over the years: Baked Salmon with Lemon Caper Butter, Salmon with Mustard Dill Sauce, Salmon with Dijon Tarragon Sauce and the most popular Baked Salmon with Dill White Wine Sauce. I figured, that with all of these recipes for salmon filets, it was about time to do a recipe using salmon in a pasta. 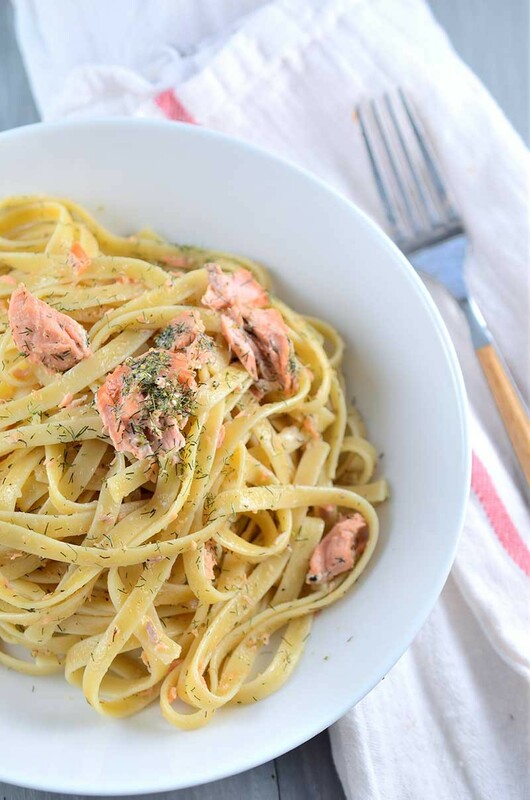 That is where this Cream Dill Salmon Fettuccine comes into play. It has been one of my favorite spring recipes for years now. I am not sure why I am just now sharing it. 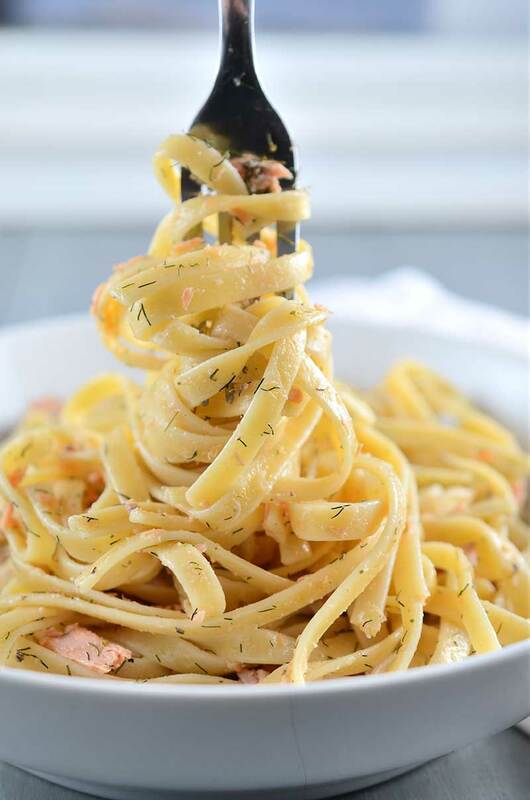 If you love creamy pastas, if you love dill and if you love salmon then you are going to love this Creamy Dill Salmon Fettuccine. Now when I say creamy, I don’t mean overly creamy in that the pasta is heavy. There is heavy cream and cream cheese, but it’s not the same creaminess as say, a fettuccine Alfredo. With the addition of white wine it’s a much lighter cream sauce, making it perfect for spring and summer dinners. One final note, when it comes to salmon one of the things that always bothers me, especially since I’m feeding little ones, is the bones. In this dish you’ll be flaking the salmon so you can keep an eye out for them while you do that. But to save yourself time, you can always ask the fish monger to do it for you. The salmon at my grocery store machine fillets the salmon so it removes the bones. Most of the time. I just always do a double check before serving. Bring a large pot of water to boil and cook pasta according to package directions. Before draining, reserve 1/2 cup of pasta water. Drain pasta. 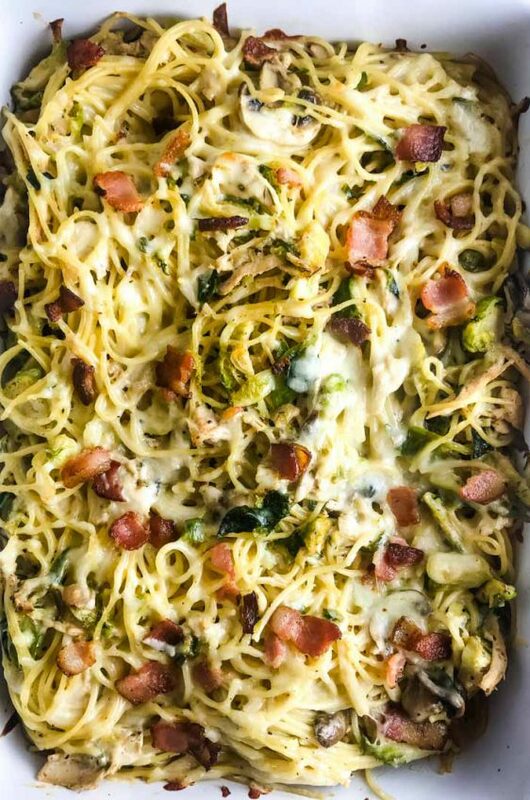 While pasta is cooking, line a baking sheet with aluminum foil. Place salmon, skin side down on prepared baking sheet. Sprinkle liberally with salt and pepper. Sprinkle with 1 teaspoon dill and drizzle with 1 tablespoon olive oil. Bake in preheated oven for 15 - 20 minutes or until salmon flakes easily. Remove salmon from oven and flake. Keep an eye out for bones and discard skin. In a large skillet, heat butter and remaining teaspoon of olive oil over medium heat until butter melts. Add in garlic and remaining dill. Cook just until garlic is fragrant, about 30 seconds. Add in white wine. Cook for 1 minute. Whisk in heavy cream, don't allow to boil. Add in cream cheese and cook, stirring frequently, until cream cheese melts, about 2 minutes. Add in 1/4 cup of reserved pasta water. If pasta sauce still seems too thick add in remaining water. Add flaked salmon to the pan and stir to coat. 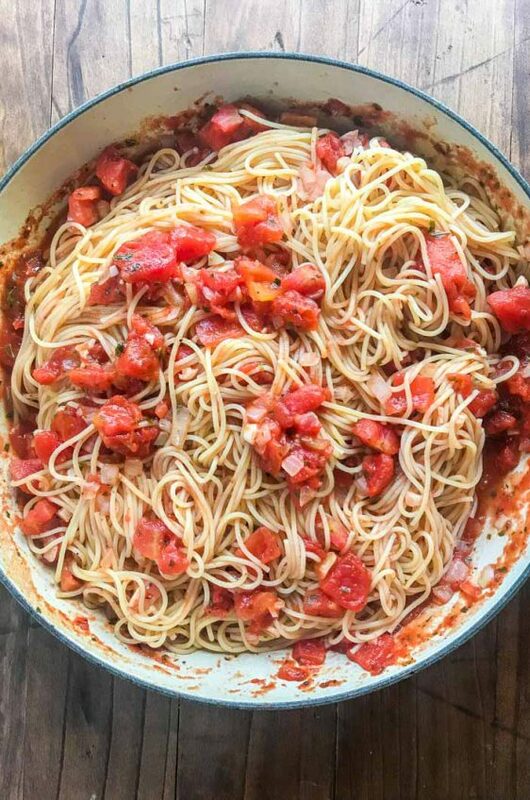 Add pasta to the pan and toss to coat. Serve immediately. What a yummy spring dinner! This looks so deliciously creamy and amazing! This sounds awesome! We’ve got plenty of fresh salmon here in western WA and this is a great way to put it to use! 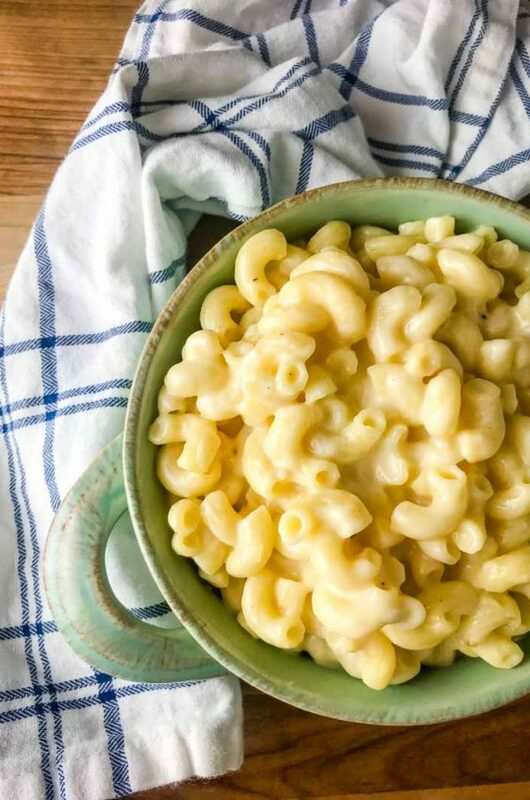 Creamy pasta is the best kind of pasta! What a great dinner! My husband is a big salmon fan but I never get around to making any meals with it. This would be so easy, and it seriously looks so darn good!